Founded in 1998, AMP Display Inc (ADI) manufactures and distributes industry-standard and custom LCD technology products. ADI offers an unsurpassed line of quality displays, aggressive pricing and a range of support services to the US OEM market. AMP Display products are manufactured in two state-of-the-art plant facilities in Taiwan and China, under a Quality Management System conforming to ISO-9001 and ISO-9002 International Standards. 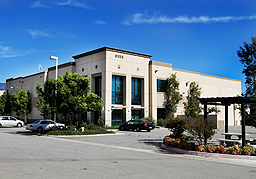 AMP Display Inc. is headquartered in Rancho Cucamonga, California. To continue growth through the pursuit of quality improvement in LCD products and services provided to our OEM customers in the manufacturing industry. Medical, instrumentation, test & measurement, marine/boating, markets include and applications such as hand-held devices, gas pumps displays, vending machines, fish-finders and more. ADI's display quality, clarity and overall value-performance rival the leading competitors in the industry. Our LCD specialists have the technical know-how, industry-specific knowledge, and understand design challenges through years of experience. Our expertise in design and manufacturing spans more than twenty years and we stay on top of the latest industry trends and market needs. We strive for continuous process improvements to better service and deliver total customer satisfaction. At ADI, we provide superior customer service through constant communication and fast response to customer requirements. ADI is known as a diligent partner that set high standards to ensure your project runs smoothly and efficiently. We understand the challenges OEMs face with product obsolescence, product shortages, late deliveries, excessive lead times, manufacturing downtime and costs associated with these incident. We have designed our services to help you minimize these problems. The VMI program creates an ongoing, interactive partnership that reduces your overhead by transferring your inventory management to ADI. This program supports zero-production lead time enabling faster time to market. Whether it is a complete finished piece of equipment, or a fully tested printed circuit board, ready to be fitted into a larger OEM product, we provide our customers with a total turnkey solution from a single source. Our goal is to offer you a completely integrated manufacturing solution that meets or exceeds your requirements.